Can’t Find Your Way Out? Nobody’s better than you. Nobody’s perfect. God created you perfectly. Every detail significant. You are fearfully and wonderfully made! You are Priceless to the Creator of all! He can and will take care of you! Your past erased, all sins covered freely by the Blood of Jesus Christ, the Son of God. Once you come to Jesus and are baptized, all sins are washed away and you are made brand new! We are still living in the flesh, so it’s inevitable to make mistakes now and then, but because of Christ, there is forgiveness. His precious Blood covers you and lasts the rest of your days, but we gotta give it our all. We must live faithful til death. Because of His Blood, when we fall, we repent and rise up! Come to the fountain of Living Water, and thirst no more!!! In Heaven the empty are made whole. The hurting are comforted and made strong. Everyone who ever wanted a family or just to be loved will indeed have one. Everyone will belong. There’s a place for you and a place for me. Jesus has everything prepared and He is coming soon to take us back home. No more being lonely, facing depression, fear, worry, doubt, hunger, pain, addiction, abuse, torment, betrayal, being taken advantage of, left out…You name it. All the negativity and darkness we all know too well are soon to be gone. Acceptance. 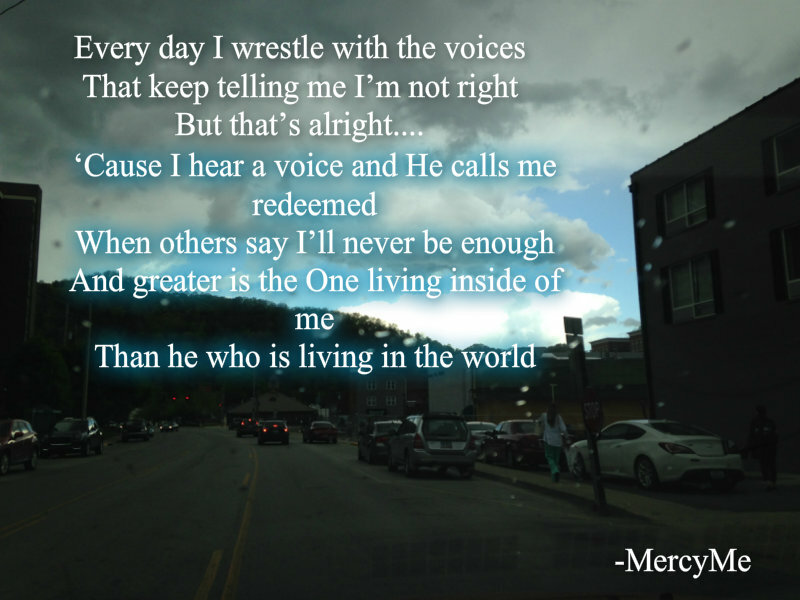 Not only are you good enough for God…but you were to die for! God loved us so much that He sent His only Son, Jesus Christ, to die on that Cross, with all of the wrath and deepest sufferings that we deserve in this flesh, not the Son of God. It may be hard to grasp the truth that you and I are “sinners”. We are living after the fall in the Garden of Eden where sin entered in and created a division between man and God. No matter how many good deeds we do, there’s tons more bad ones to match. 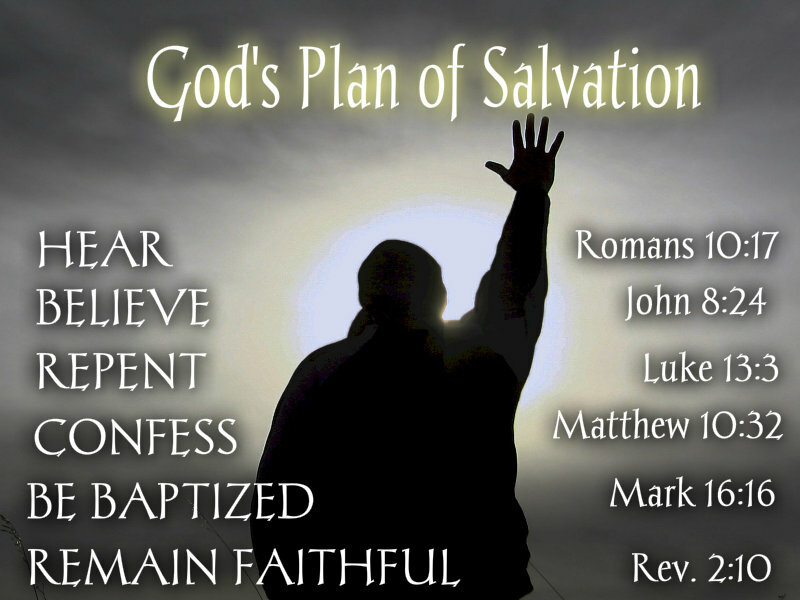 We can’t earn our Salvation, a place in Heaven on our own. We just don’t have the means. That’s why we need a mediator, and that’s Jesus. Because of Love. True Love…you and I were BOUGHT at a price. We’re paid for in FULL!!! Nothing can separate us from God when we accept Jesus and come to God! Choosing Jesus and becoming a Christian does not mean that you must never fail! The Blood of Christ covers you for the rest of your life into Eternity. Sin is canceled by the blood of Jesus, but when we make a mistake or fall down we must repent. Repentance means a sincere turning away, in both the mind and heart, from self to God. We get back up and press on with Jesus. Look at the world today. Even the mainstream news will clue you in. 40 Active volcanoes, earthquake uptick, Israel is actually about to be divided. What is wrong is now right and what is right is now wrong if you are to be politically correct. Lawlessness. Rioting. Things are different. Check out Matthew, Chapter 24 in the Bible. No matter what’s going on in your life, you can know peace, even now in the flesh. This is only possible with Jesus, and Jesus is the only way to God. I encourage you to think about it. “Therefore if any man be in Christ, he is a new creature: old things are passed away; behold, all things are become new. 18And all things are of God, who hath reconciled us to himself by Jesus Christ, and hath given to us the ministry of reconciliation; 19To wit, that God was in Christ, reconciling the world unto himself, not imputing their trespasses unto them; and hath committed unto us the word of reconciliation.” – 2 Corinthians Chapter 5, verses 17-19. 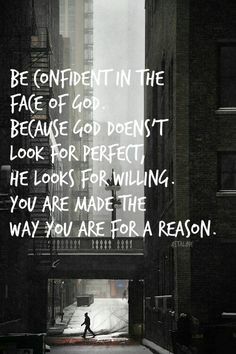 God Didn’t Need You, He Wanted You. HALT!!! Just How Are You Feeling? I planned on beginning my health kick today, not diet-diets do not work. Fitness/Good Health is a lifestyle. I thought I was ready to make that change and commitment today, but my emotions/moods have been slightly unstable today as I’m coming down from the Caffeine mountain. I’m eating a snack while making this post! Ahh! A good one too. No Chocolate or Caffeine in it though, for sure! The hubby is coming home soon…again I am alone tonight. Have you ever heard of H.A.L.T? I have heard it in addiction counseling. It means you need to step back or STOP and halt from what you are doing when you are one of the four things that each letter represents: H-hungry, A-angry, L-lonely, and T-tired. Lets evaluate together… Are you any or all of these? In my current state I am hungry-not for food though. My spirit is starving for a good Sunday sermon, Bible study session, hour of prayer, freedom from the tight clutches that Caffeine had around my neck-emotional peace, mental clarity. I am starving for love. Not from others, but from myself. I am aching for a confirmation, an okay-just the ‘good to go’ from simply me. Then when I think back to the old days of teen years and early twenties, I want to be good enough. I want to be appropriate. I want to be able to shop at the mall again. Nothing there fits me now unless I go to like the only one plus size specialty shop they have there now. So, yes. In a sense I am hungry. I am feeling deprived for food for my heart, soul, my spirit. You know, even if and when I get there, at that so desired size, if I am not emotionally ready and spiritually equipped to be that healthy woman I want to see in the mirror, then I can’t maintain her. Angry. I am not mad at anyone but myself, only if I look deep enough. I think the anger I have at myself is very deep within my core. I have to take the time and be very introspective to see it because it hides itself so well…Anger is like sadness being suppressed. So then yea, I must be upset. Tired…my dad is tired. I know he’s tired of being in that bed at the nursing home all of the time or being on the gurney, or dialysis chair. The only three places he gets put. The secret to weight loss and emotional eating is to get to the core of what is causing the human all of the pain, and go through each layer of hurt, and feel and deal. You cannot run and hide, or you will end up the way I have. It is time that I accept what is, realize where I really stand in the world of my physical health too and not just emotional. I am tired of missing my dad. I really think I made a mistake leaving my hometown and moving here. My husband has most of his family here, and none of them are that sick. Maybe a little regret, little resentment there, this, that? I am tired of being a plus sized woman. I am a caterpillar now, but there is a healthy butterfly living under all of the pain I am wearing. The pain my body has acquired over the last 6 years or so. The pain from my current situation in my own personal struggle with myself. The 16 year old me would not be here right now. She would be in the bathroom catering to her eating disordered habit needs. I seriously and honestly do regret eating what I ate, but I am most certainly not about to take it there. I’ve been in recovery for 6 years and I am not throwing that away. Once you find recovery, you find clarity, but no one is ever forever immune to negative thinking forever. Its not that I am 100% absolutely free. The thoughts rarely present themselves at all anymore…but co-morbidity makes things a little more difficult—the presence of my 2 disabling psychological issues coming together against ME. One person. We must put in positive thoughts daily to make it in this world if we desire to maintain a healthy body, mind, and freed spirit. For those of you who are in a very dark place, or even worse, suicidal, if its killing you to look back…and its too scary and dark to see what lies before you or any possibilities ahead… just look UP. Look UP to the sky. Up, up, and away into the Heavens…or even around you, you know. He’s there…He’s there in the wind, in the sunrise, a stranger’s smile. He’s God. I see God when I visit the ocean, being so intimidated by its tides and greatness. It is so large, and there are so many creatures living in it, lots undiscovered I am sure. I also see God in simply spending time with my grandma (I have only one living) as she tells me and re-tells me stories of times long ago when I was small, and as we reminisce, I cherish her smile, and the way her face lights up, like I was just born a few weeks ago, and I am still brand new to her…she loves me that much. Excuse the repetition, but again, I see God when I spend time with our pets, especially our Cockatiel Jazzy, aka J-Bird, because I am forever learning from her! Maybe its because a relationship with a bird is far more delicate and soft, cautious, or unique? I am not sure…that’s my opinion. Not only is she the star being the header of my blog, she has glowing orange cheeks, bows her bald head in begging for rubs, and tries to drink and eat whatever I have at the moment. She has her own personality like every other bird. When you get a bird its like getting a cat, or a box of chocolates-you just never know what you’re going to get (Thank you Forest). When I wake up and turn around in the middle of the night to see if he’s real, and my husband is there, I see God…and thank Him for my life’s mate…soul mate. I realize that we are all on different journeys with different issues at hand, our own types of struggles or burdens to bear, our own histories/pasts, personalities, family or no family, friends or no, God of Christianity, other world religions, spiritual, or non religious…whomever you are…you are running your own race. You were made to LIVE. In my personal belief…Jesus DIED so we may LIVE eternally…I could go on and on about that, because I have a strong passion for God and the path to salvation through Jesus Christ His Son…but…I just want you to hear me! You have a purpose! As I have said before, and will say it again…As long as there’s breath in your body and your heart is beating…you have unfinished business, friend! Don’t compare your beginning to others middle or great finish. Like the rest of you I have a story, I have a past. Sure I might have blogged about some things here, but just like yours, my story is not quite clear to you either…I just wanted to take the time to offer hope tonight. Not my hope, but the only hope. Hope through God above. I’m not preaching to you…I just care is all…I have a big heart and you are my friends. So no matter where you are, what you have or don’t have, car or no car, no help in the outside world. I am here to tell you, it ain’t over, baby! Perhaps I could have presented this message in a better way, I don’t know…. God bless you tonight, tomorrow and always, Amen!